a glimpse of our life: The Butterfly Palace & Rainforest Adventure in Branson Exclusive Coupons! 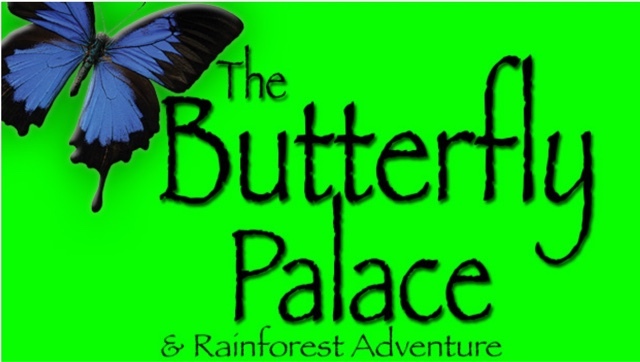 The Butterfly Palace & Rainforest Adventure in Branson Exclusive Coupons! The Butterfly Palace & Rainforest Adventure in Branson is fun for all ages! Enjoy a Live Butterfly exhibit filled with over a thousand tropical butterflies, educational videos, great banyan tree bungee maze, mirror maze and a living rainforest science center! Open year round, 9am- 5pm daily! Visit our website or call for more information! My readers get $2 off at The Butterfly Palace with this exclusive coupon! - Cannot be combined with other offers. Must be presented at time of purchase.